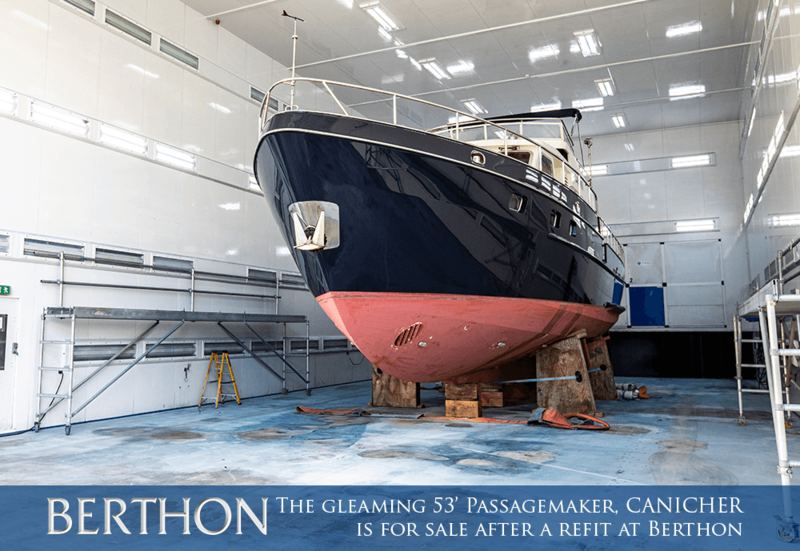 The gleaming CANICHER is for sale. 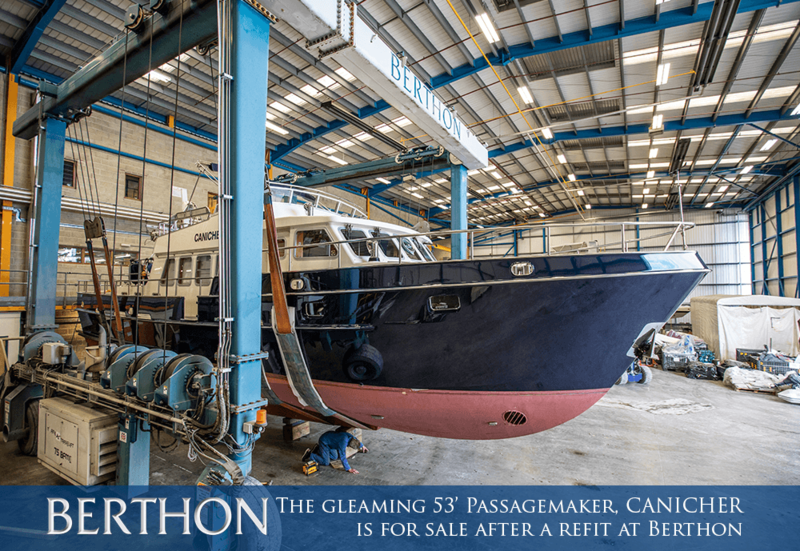 She has just completed a refit at Berthon including new flag blue topsides paint and a full service and review of her systems. She is totally ready for the new season. 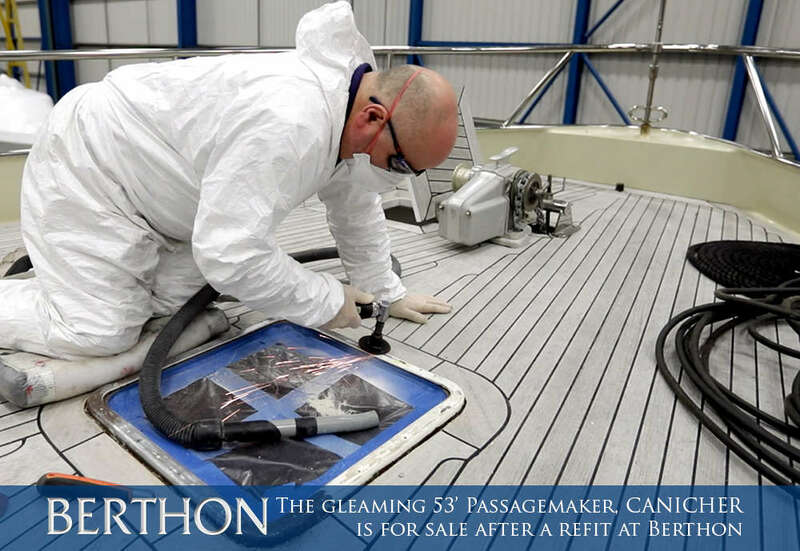 Designed by Otto Brinksma, work started on the yacht in 1998 and she was completed in 2004 at Althena in Holland. 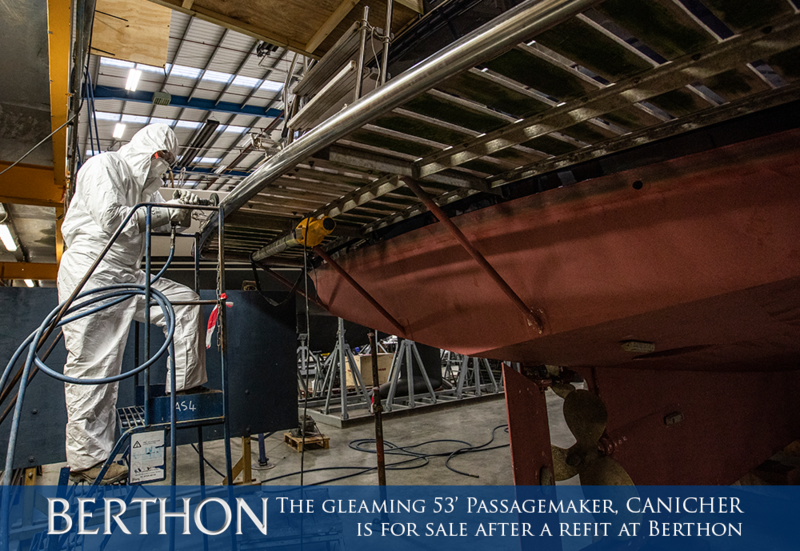 She is robustly built with close built frames, 15mm keel plate, 5 water tight compartments and integral fuel tanks. 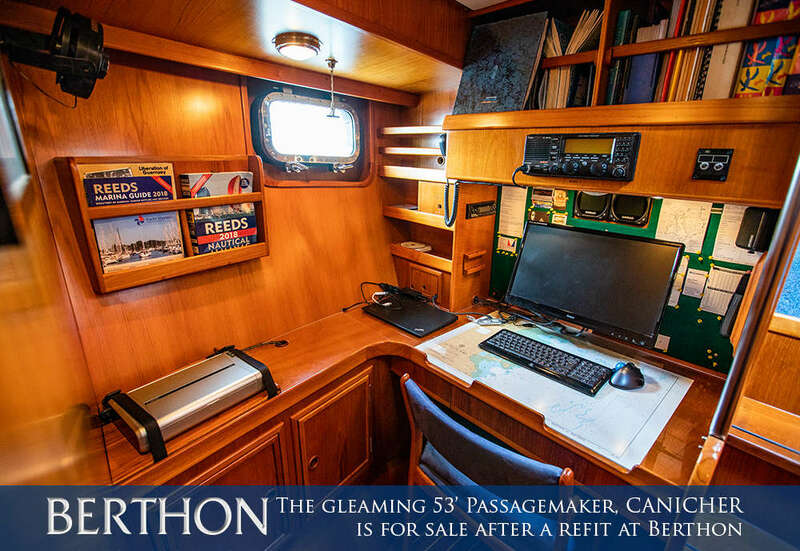 She is perfect for exploring and for doing so in great comfort. 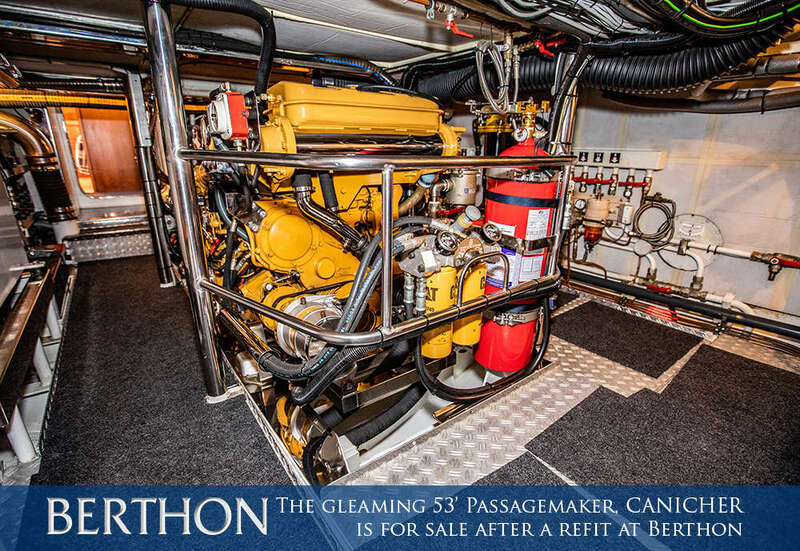 She has a single Caterpillar at 215hp with a Vetus get me home engine with its own drive train. For easy handling she has both bow and stern thruster as well as a wide array of electronics. Her interior is executed in teak with teak and holly soles. 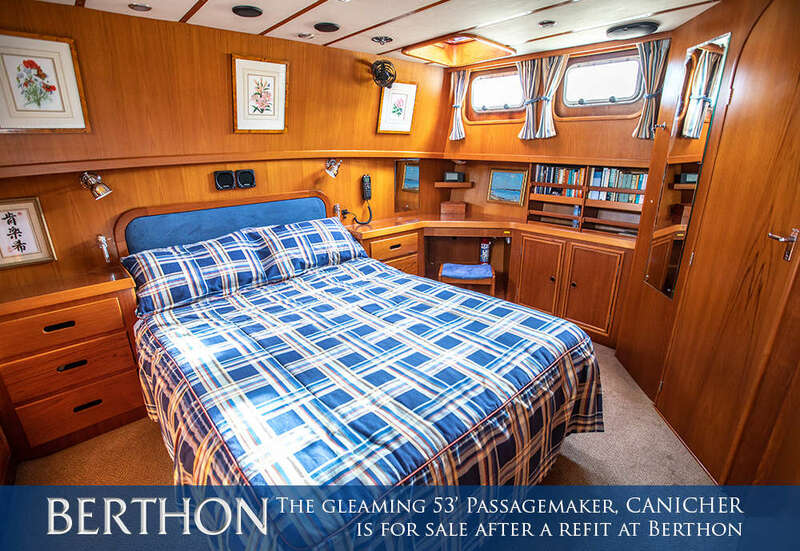 She is light and airy with a wonderful decksaloon that opens onto the interior bridge. 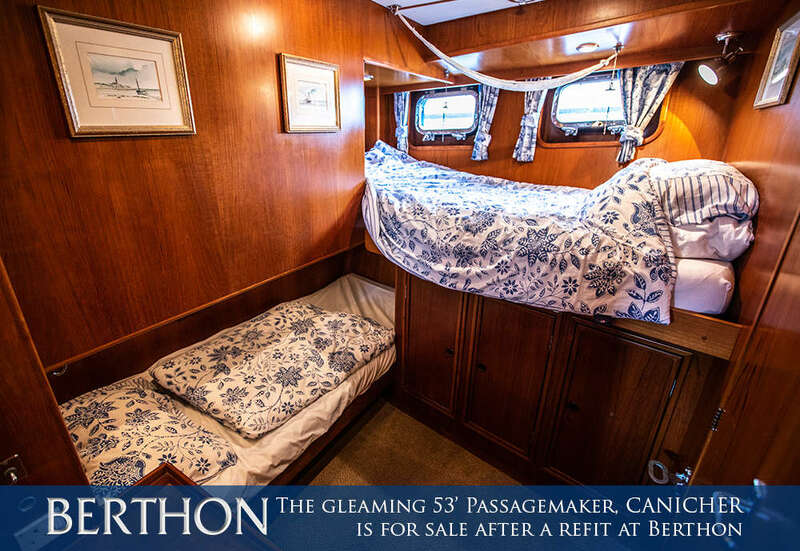 The sleeping accommodation gives a huge owners’ stateroom, again with lots of light and generous use of hull ports, and an en-suite heads compartment with separate shower. Forward of the interior helm are steps down to a study and 2 further comfortable cabins with heads compartment. 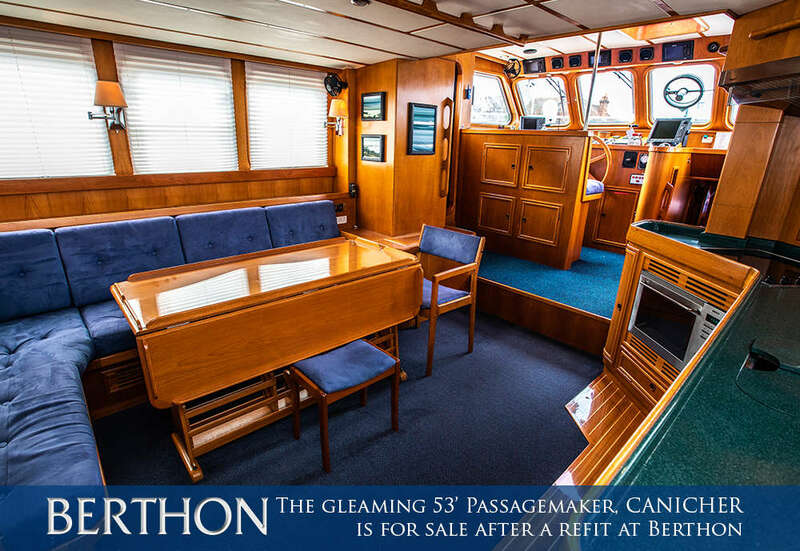 The galley is linear and on the starboard side of the decksaloon, making for a very social interior where eating, socialising and watchkeeping are all managed in the same area. 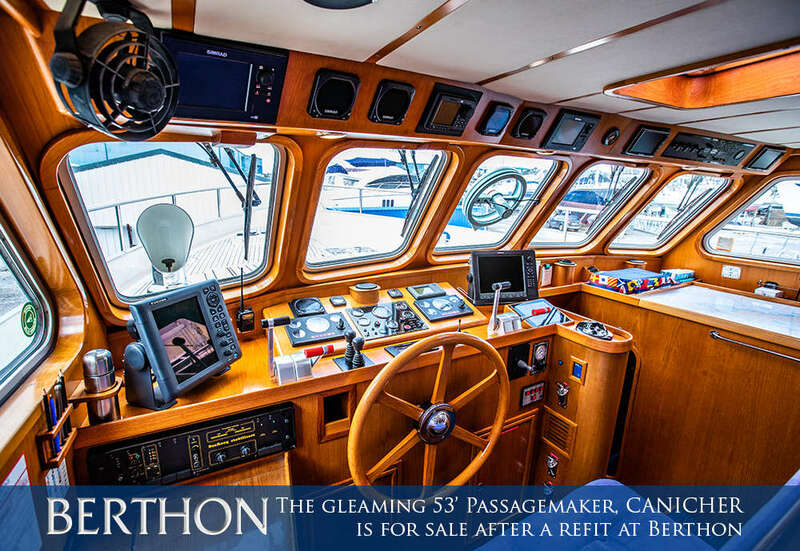 On deck, she has deck decks, high protected bulwarks, a boat deck with access onto a large flying bridge with exterior helm. There is also lots of seating for entertaining on this deck. 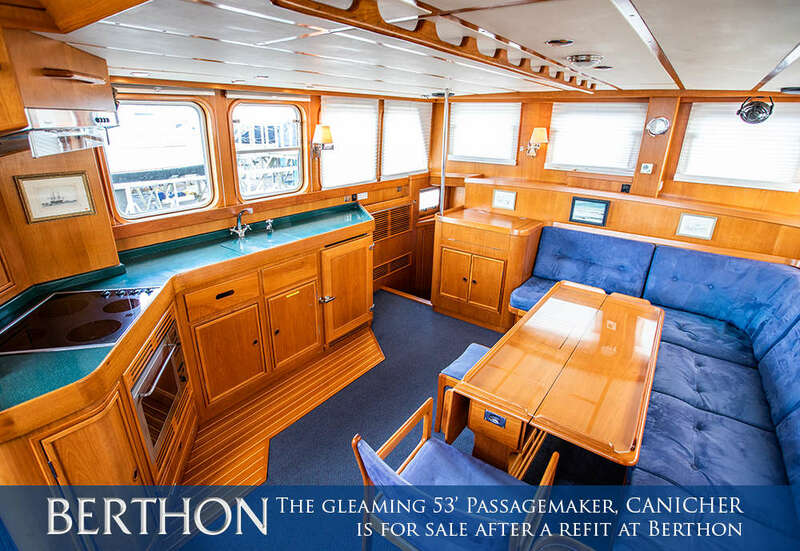 CANICHER is in her original ownership and has been professionally maintained through life. 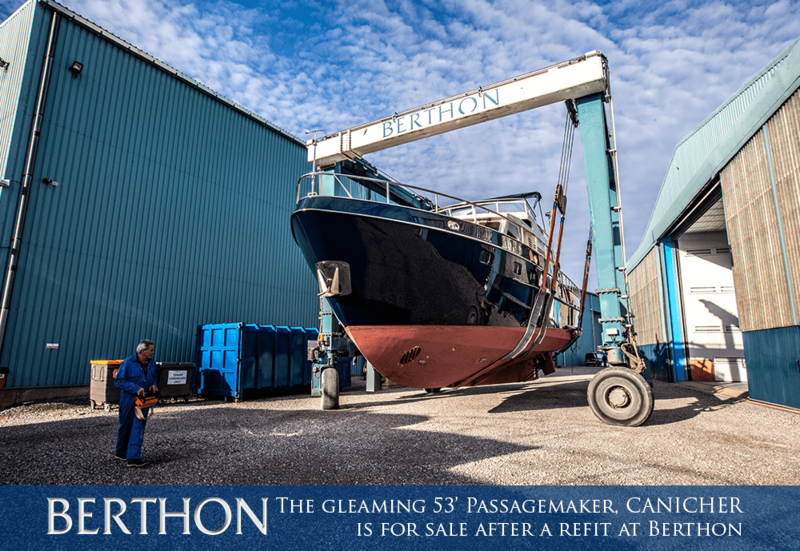 She is now available for reliable and comfortable ocean passaging.